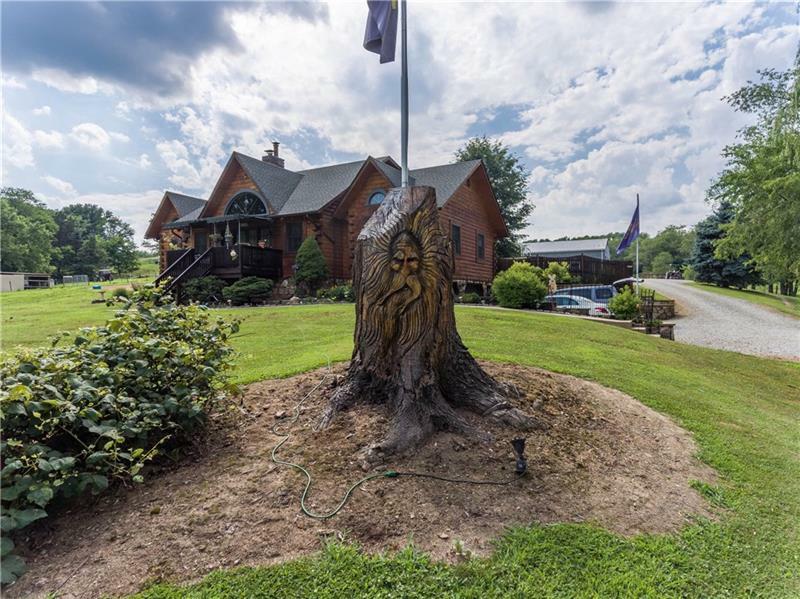 HOME on 50 acres! Residents sits on 11.63 acres and the other 38.37 buildable acreage is farm land. 10 minutes from town. 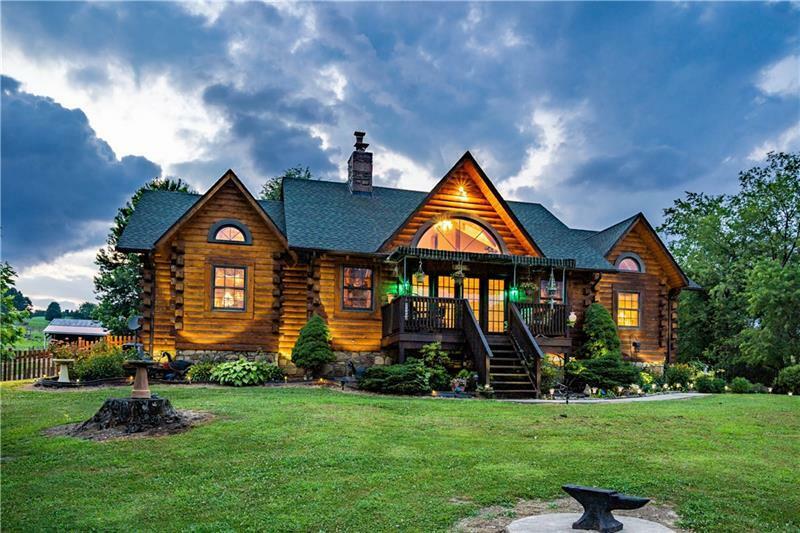 Hand hewed 8" Douglas fur log/ open 17' soaring ceilings, stunning PA blue stone 2 story fireplace, stone taken from original 1800s home/built in 20gal aquarium. Main floor has living room with hardwood floors, and entry with double French doors, dining room with Palladian window and octagon stained glass window at 15', kitchen with island and granite countertops/stone sink, dinette, 1/2bath, master suite with full bath, dressing area and builtin vanity. 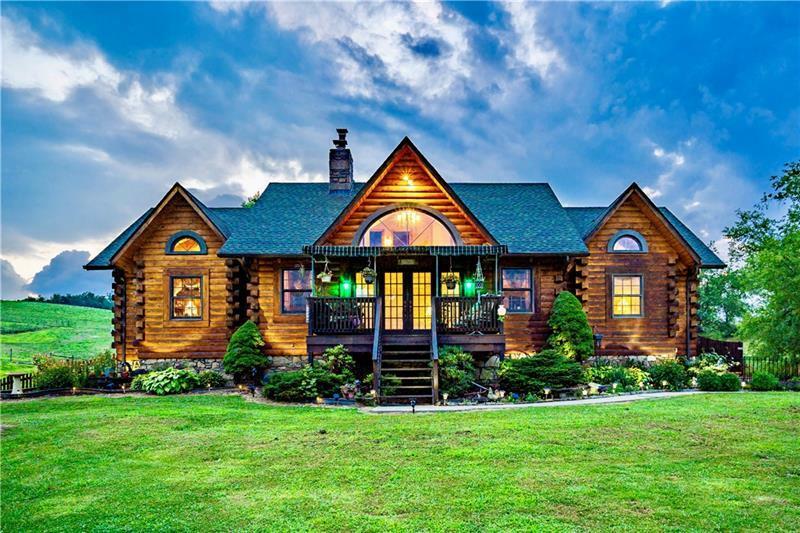 Upper level has 2 beds and a full bathThe lower level has a huge game room with hand crafted custom wood throughout, laundry area and an additional large space and indoor dog washing room. 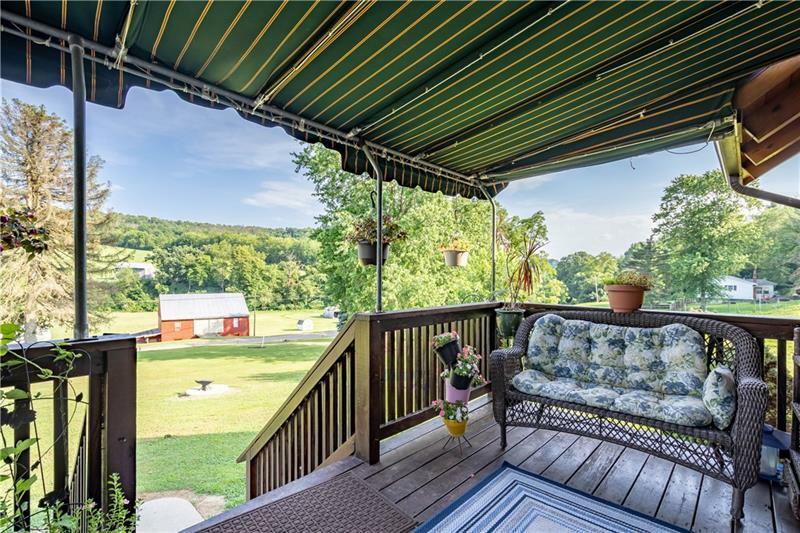 Front porch with sunshade, back deck with custom blinds and lots of privacy. 2 car oversized garage. © 2019 West Penn Multi-List, Inc. All Rights Reserved. INFORMATION DEEMED RELIABLE, BUT NOT GUARANTEED. IDX information is provided exclusively for consumers' personal, non-commercial use and may not be used for any purpose other than to identify prospective properties consumers may be interested in purchasing. Data last updated: 2019-04-26T06:45:52.997.